Not long after his triumphal entry into Jerusalem, Jesus' conflict with the religious leaders intensifies dramatically. The closer he comes to the cross, the separation between those who Jesus has gathered and those who refuse to be gathered becomes markedly clear. As tensions mount, Jesus reveals, again, the deepest longing of his heart - to gather us to himself in love. As a mother, I know what it is to spread my arms wide and gather my children in - in moments of joy, fear, or comfort. I also know the bittersweet moments when new-found independence, willfulness, or hurt feelings cause my children to resist being gathered. 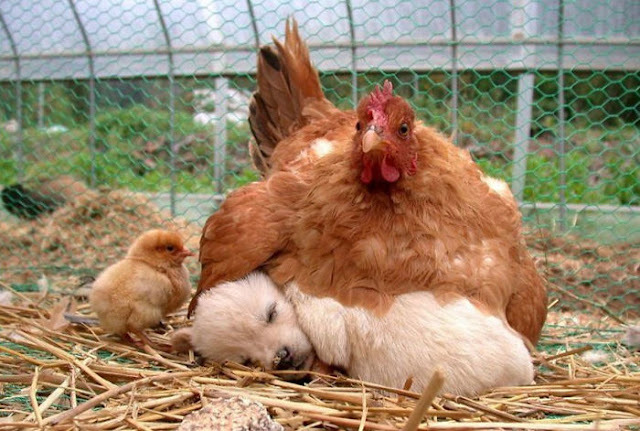 As a chicken farmer, I know the way a mother hen spreads her breast feathers wide over a nest. 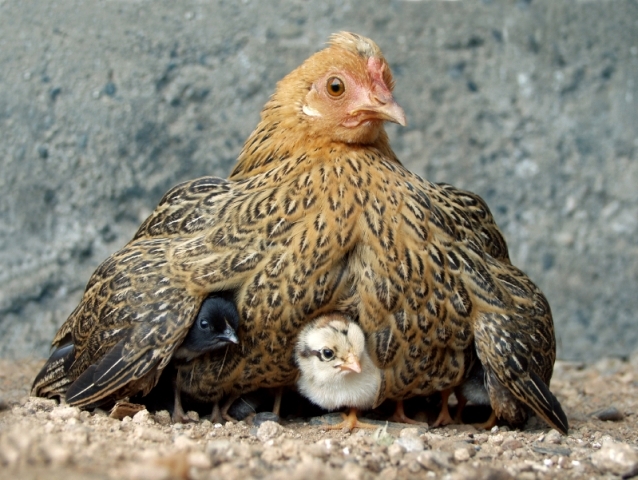 I have seen a newborn chick burrow into its mother's feathered cocoon, have felt with my own hands the warmth beneath her wings, the close, dark hidden-ness. When I read this verse, I wonder what it means to be gathered. I think of the intimacy - the safety, calm, and rest. I imagine, even the darkness of that hidden place would feel welcome. There is, in all of us, sometimes buried deep, a longing to be gathered. Yet, still, we often resist. And even when we do allow ourselves to be gathered we are still painfully aware of the desperate, aching world just beyond our sheltered rest. Gathered to God, resting against God's very breast, we cannot help but be shaped by the heartbeat we hear. Gathered, we become gatherers; loved, we long to be lovers. We become the kind of flock that follows God to the cross, through the cross, and into the kind of life that multiplies and makes manifest the longing love of God. God's longing love seeks to gather us ALL in. Sit with that for a moment. One strange fact about hens is that, when brooding, the mothering impulse is so strong that they will mother almost anything they can find - puppies, kittens, piglets. It seems, with hens, the longing and love are wide enough to gather all who are willing. The same is true, of God. What do you imagine it would be like to be gathered by God? Who do you long to see gathered into God's longing love? What parts of you resist gathering? This is truly a special way to see God's love; to see God's heart for us. Thanks for sharing!! Thanks Kathy, I'm glad it spoke to you.